A striking crystal golf trophy that brings a splash of colour to your awards presentation. Finely crafted in clear and blue glass, these golf awards feature a fan shaped column topped with a metal figure of a golfer. 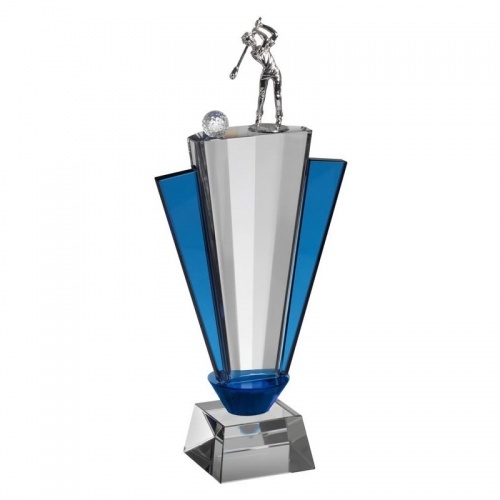 They are set on a bevelled glass base and can be engraved on both the front of the award and on the base. Available in three size options, these glass golf trophies are supplied presentation boxed.